Lasseters flagship property in Australia – Crowne Plaza Alice Springs Lasseters – has clinched the Deluxe Accommodation category award for the sixth consecutive year, a strong testament to its high level of service excellence. In addition, Alice Springs Convention Centre won the Business Event Venue award, marking a return to the winner’s circle since 2015. The Brolga awards are the apex of tourism industry awards in the Northern Territory. Winners of these awards represent the best products and services in the Northern Territory and are granted automatic entry to the coveted Qantas Australian Tourism Awards. Australia’s leading health retreat and spa operator, Golden Door Elysia Health Retreat & Spa, Hunter Valley, has won the coveted World Spa Awards for Australia’s and Oceania’s Best Wellness Retreat 2018, showcasing the team’s service excellence in ensuring that guests have an exceptional health and wellness experience at the retreat. The World Spa Awards celebrates excellence within the spa industry through its annual awards programme which is made more special as winners are chosen through a voting process comprising industry peers as well as spa and retreat consumers. Lasseters flagship property in Australia – Crowne Plaza Alice Springs Lasseters – has just been awarded the prestigious gold title in February 2018 for the Best Deluxe Accommodation across Australia in the 2017 Qantas Australian Tourism Award. The Deluxe Accommodation category encompasses properties that have achieved deluxe guest experience which includes a wide range of facilities and superior design quality, typically complemented by service standards that reflect the varied and discerning needs of guests. The award was aptly timed with the property celebrating its first year of operations after being rebranded as an IHG Crowne Plaza property. Lasseters and Paramount Corporation Bhd, through their joint-venture company Super Ace Resources Sdn Bhd, have signed two agreements in early April with French multinational hotel group, AccorHotels. The first, a management agreement to operate the 230-key 4-star hotel under the Mercure brand (upgraded from previous IBIS brand); and the second, a hotel consultancy services agreement that leverages AccorHotels’ expertise on the design and technical fit-out of the hotel. The hotel will be named as “Mercure Kuala Lumpur Glenmarie” and is slated to open its doors by end 2019. With this partnership, Lasseters will be able to extend its hospitality expertise whilst diversifying into a more defined geographical market. The Group’s flagship land-based gaming establishment, Lasseters Hotel Casino, is set to strengthen its offerings through a franchise agreement with InterContinental Hotels Group (IHG). This marks a key milestone for IHG, marking its re-entry into the Northern Territory, and the return of the Crowne Plaza brand to Alice Springs, while Lasseters is positioned to leverage the Crowne Plaza brand as one of the fastest-growing hotel brands in the world. Under the agreement, there are plans to invest A$5-6 million to refurbish the guest rooms and rebrand the current Lasseters Hotel Alice Springs, culminating in an expected reopening of the establishment as “Crowne Plaza Alice Springs Lasseters” in December 2016. For the fourth year in a row, Lasseters Hotel Casino has garnered the Best Deluxe Accommodation award at the 2016 Brolga Northern Territory Tourism Awards. The win marks its position as the centre of entertainment in Alice Springs, recognising its international standard casino and world-class offerings. Lasseters has entered into a joint venture agreement with Paramount Corporation Berhad (PCB) to jointly develop, own and operate a hotel located in Glenmarie, Shah Alam, Malaysia. Listed on the Main Market of Bursa Malaysia Securities Berhad, PCB has well-established interests in property development and education services. The hotel is part of a planned 21.7-acre metropolis, the Paramount Utropolis, that intergrates commercial, retail and residential elements. Paramount Utropolis consists of several components, including serviced apartments, retail, SOHO and the KDU University College. Slated to be developed over approximately 22 months with 230 keys, the hotel will be managed by an international hotel chain, AccorHotels, and is expected to be completed in 2019. Palms Industrial Park - a project comprising 16 units of industrial factory lots over a 7-acre leasehold land in the Kajang region, Selangor - has been fully completed and has successfully obtained the Certificate of Completion and Compliance in June 2016. With the recent refurbishment, Lasseters Hotel Casino is set to take dining and entertainment experiences to a new level. A newly refurbished VIP gaming room for high rollers has been opened, as well as new F&B outlets that boast new sporting facilities with a theatre atmosphere. 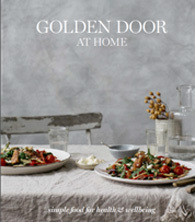 Following the success of its previous cookbooks since they were first launched in 1994, the Golden Door will be releasing its 5th cookbook in May 2016. The cookbook was tailored to provide guests with simple recipes for wellness that can be easily recreated at home, in line with The Golden Door's brand philosophy of ongoing wellness. 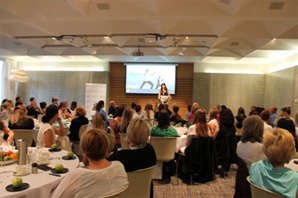 Held in Sydney on 17 May 2015 and in Zinc Federation Square, Melbourne on 16 October 2015, the breakfast events attracted 100 attendees and raised more than $800 for the National Breast Cancer Foundation. Lasseters Hotel has clinched the honour of Best Deluxe Accommodation at the 2015 Brolga Awards for the third year running, a strong testament to its high level of service excellence. 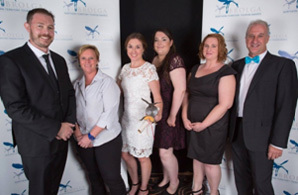 In addition, the Alice Springs Convention Centre won the Business Events Venue award at the 2015 Brolga Awards, marking a return to the winner's circle after a six-year absence. Lasseters was granted an extension of its exclusive casino licence in Alice Springs and certain other areas in NT from 30 June 2015 to 30 June 2031, with a further option to extend the licence for a further term of five years beyond 2031. At the same time, the Group also secured an upward revision in its shareholding threshold to 10% on probity requirements. The project comprises 16 units of industrial factory lots over a 7-acre leasehold land. Units sold will be handed over to purchasers towards the end of 2015. Chef Athol rejoined Lasseters as its Corporate Executive Chef in August 2015, bringing with him over 25 years of culinary experience in the F&B and hospitality industry. He participates in numerous international events such as world Expos, Japan and Shanghai, showcasing his exemplary skills and culinary flair in creating dishes that have a unique Central Australian flavor. Chef Athol's passion to create unique dining experiences for each and every Lasseters guest shines through in his work. 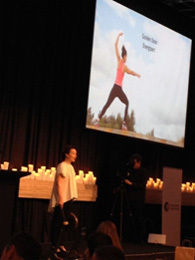 Brigid Walsh, our General Manager at The Golden Door Health Retreat & Spa Elysia, was invited to share her insights on "Building a Conscious Culture at The Golden Door" at the Conscious Capitalism Summit in June. The Conscious Capitalism movement challenges business leaders to re-think why their organisations exist and holds potential to enhance corporate performance while simultaneously contributing to the community in advancing quality of life. Towards the end of 2014, the Group diversified into the sizeable and untapped 'Corporate Wellness' market, aiming to inspire holistic well-being and long-term changes in employees' lifestyle behavior. Guided by Brigid Walsh, our General Manager at The Golden Door Health Retreat & Spa, Elysia who is a 17-year health and wellness veteran, Lasseters is well positioned to play a leading role in this segment. We are confident that our headstart will generate lucrative returns given the emphasis on employee wellness in recent years.